John A. Martin & Associates, Inc. Natural History Museum Opens the Otis Booth Pavilion - John A. Martin & Associates, Inc. 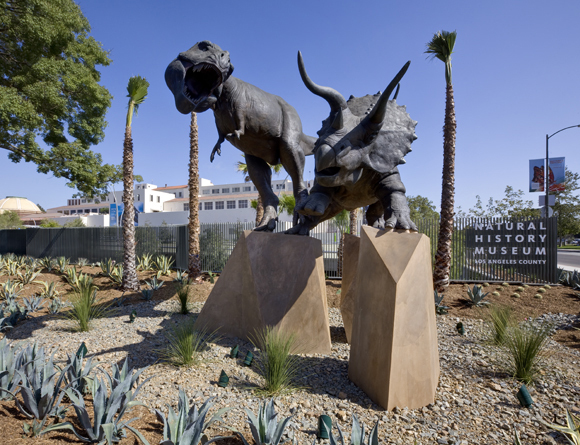 Earlier this month the Natural History Museum of LA County celebrated its centennial anniversary and officially unveiled the latest component of the campus renovation and construction effort; the Otis Booth Pavilion. This six-story steel and glass cube complete with multimedia will serve as the Museum’s official front door and connect the North Campus landscape to the 1974 Building via an arched pedestrian bridge. John A. Martin & Associates has been involved with the Museum’s campus wide modernization efforts since 2006, including historic renovation, seismic renovation and retrofit, and new construction projects.